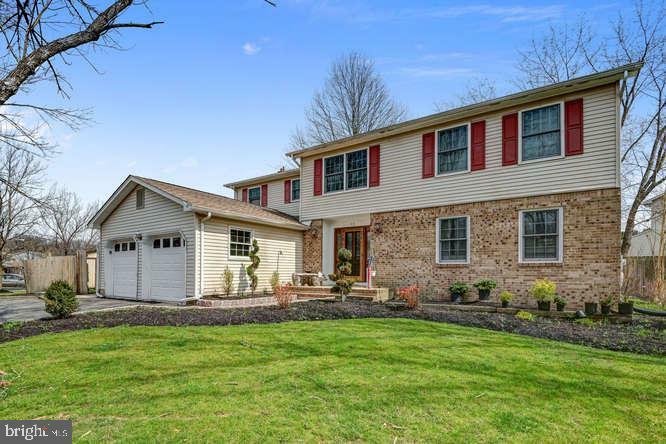 All Monmouth Junction homes currently listed for sale in Monmouth Junction as of 04/20/2019 are shown below. You can change the search criteria at any time by pressing the 'Change Search' button below. If you have any questions or you would like more information about any Monmouth Junction homes for sale or other Monmouth Junction real estate, please contact us and one of our knowledgeable Monmouth Junction REALTORS® would be pleased to assist you. 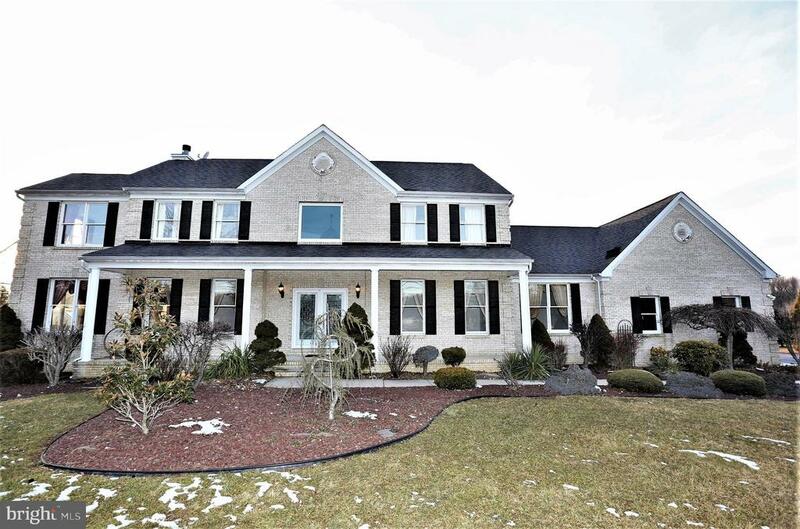 "NEW CUSTOM COLONIAL ON 1.8 ACRE OFFERING TOTAL FINISHED AREA OF 7186 SF INCLUDING BASEMENT, FEATURES 6 BEDROOMS, 5.5 BATHROOMS, GUEST SUITE WITH FULL BATH ON 1ST FLOOR, 2 GAS FIREPLACES, 3 CAR GARAGES INSULATED AND FINISHED WITH A SEPARATE HEATING UNIT, OVERSIZE GARAGE DOORS WITH OPENERS, CAR CHARGING OUTLET, 300 AMP ELECTRIC SERVICE, 2 ZONE HEATING AND CENTRAL AIR ENERGY EFFICIENT DIRECT VENT SYSTEMS, LARGE LIVING ROOM WITH FRENCH DOORS TO DECK, STUDY AND DINING ROOMS OFFERS BAY WINDOWS, OPEN MAIN STAIRS & CUSTOM RAILINGS FROM FINISHED BASEMENT TO 2ND FLOOR WITH MATCHING FOYER WINDOW IN REAR WITH CHANDELIER ABOVE, 2 LIFTS FOR CHANDELIERS, FINISHED WALK OUT BASEMENT WITH HIGH CEILING WITH FULL BATH AND HUGE AREA FOR ENTERTAINING, FULL STAIRS TO FLOORED ATTIC FOR PLENTY OF STORAGE WITH FULL WINDOWS, CUSTOM KITCHEN WITH ISLAND WITH EAT OFF, SEPARATE DINETTE AREA, TONS OF CUSTOM MOLDINGS INSTALLED, FORMAL DINING ROOM WITH BEAUTIFUL CHANDELIER, CUSTOM PAINT JOB THROUGHOUT, STONE AND STUCCO FRONT, CENTRAL VACUUM, LARGE MASTER BEDROOM SUITE WITH SEPARATE SITING AREA WITH CATHEDRAL CEILING, SKYLIGHT AND GAS FIREPLACE LEADING TO LARGE WALK IN CLOSET WITH ANOTHER LAUNDRY HOOK UP, MASTER BATH WITH STALL SHOWER, DOUBLE SINKS, JACUUZI TUB, CATHEDRAL CEILING WITH SKYLIGHT AND ENCLOSED TOILET AREA, LED RECESSED LIGHTING THROUGHOUT THE HOUSE, EXCELLENT SCHOOL SYSTEM, CONVENIENT TO MAJOR HIGHWAYS, NY TRANS, READY FOR QUICK CLOSING, PLUS MUCH MUCH MORE........."
"Stunning 5 bedroom, 4.5 bath home with walk out basement located in the highly desired community Princeton Hills in South Brunswick. This home has been beautifully updated and remarkably maintained. Features front entry thermatru door; dramatic 2 story foyer with refinished stairwell with wrought iron spindles. Large formal living and dining room with downstairs powder room and guest bedroom/den. Great room with see through wrap around fireplace to newly appointed kitchen. Updated white kitchen cabinets with under cabinet lighting and new contemporary hardware, stainless steel appliances, including a double oven and a new modern range hood. 3 Full bathrooms. The 2 master bathrooms have skylights and Jacuzzi tubs. All with marble tiles, European style fixtures with jets and glass enclosures. All bedrooms have custom closets with lighted thick glass shelving. 2 master suites; one with French doors leading to a sitting room with custom glass shelving and skylights. Recessed LED lighting throughout the house; hardwood flooring throughout 1st and 2nd floors; finished walkout basement with full size windows, theater room and full bathroom. Upgraded central vacuum, water heater, AC and furnace; rebuilt front porch and stairs; brick pavers on driveway, walkways and backyard patio, bi-level oversize deck; oversized 3 car garage; state of the art alarm system securing against burglary & fire, sump and sewage backup; mature landscaping with LED lighting; easy access to attic with pull down stairs and covered floor. Upstairs laundry with sink and skylight. A truly beautiful home. Conveniently located near highways, shopping, restaurants & more!" "Gorgeous new home w/2 BR & 10ft ceiling on 1st flr! One BR has vaulted ceiling, full bath & walk-in closet. The other can be a study. Open floor plan. Many over sized windows for ample light! 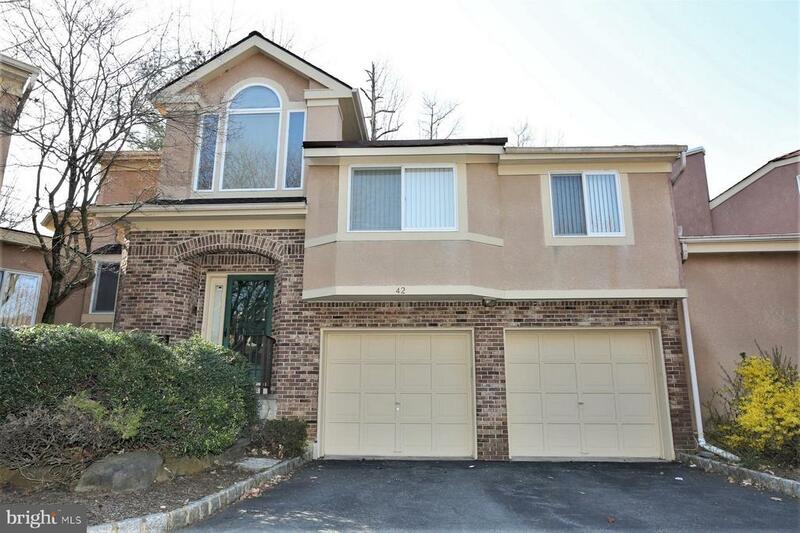 Numerous upgrades like coffered/vaulted ceilings, linear fireplace, Quartz MB counter tops, custom tile & granite seat in MB shower, added recessed lighting, metal staircase rods, hardwood 1st flr & 2nd flr hall w/opt to hardwd BR's & daylight basement. Limited time to add your finishing touches. 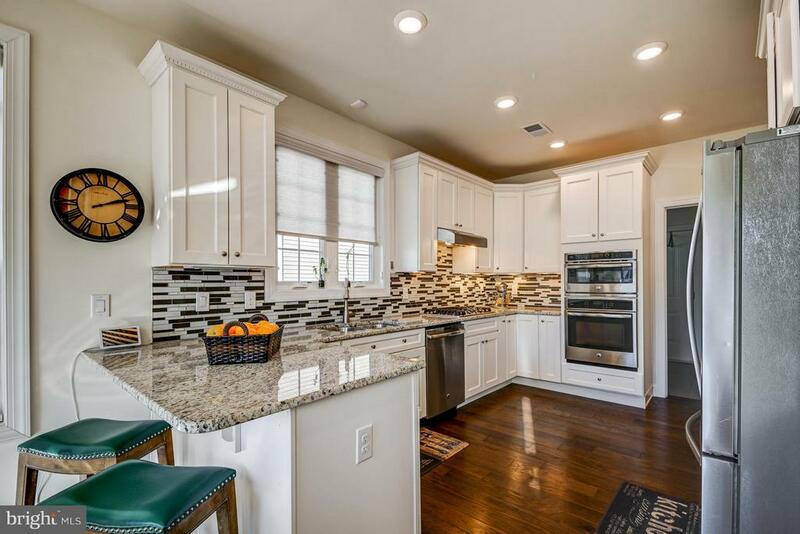 Large custom kitchen w/upgraded granite counters & back splash. Refrigerator, wall oven, micro, DW, 5 burner counter range & outside venting hood, inc. First flr laundry. 3 FULL baths & 4 BR's upstairs. 1 bath in MB, 2 are en suite though 1 BR shares en suite. MB comes w/lrg, separate sitting area, 2 WI closets & huge bath w/2 separate sinks, stall shower w/seat & free standing tub. Full, open flr plan basement. Custom garage doors. Lrg, flat lot w/plenty of space for deck, etc." 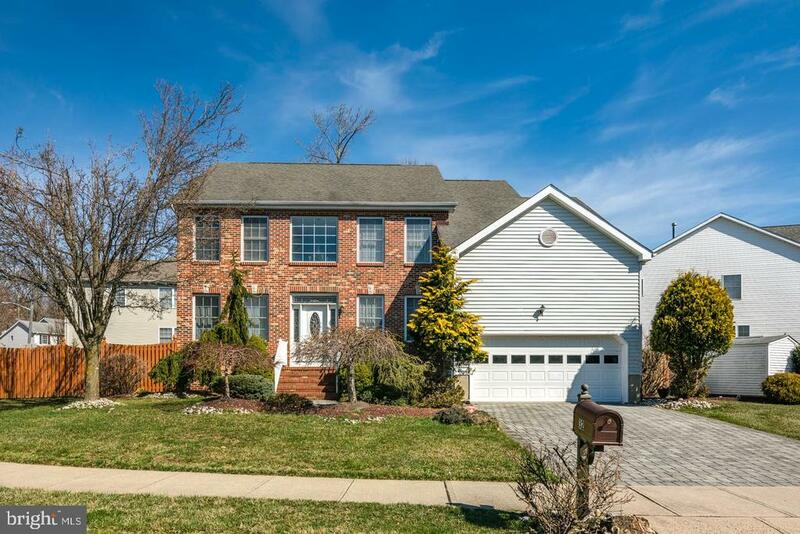 "Beautiful Brick front Center hall Colonial located on a premium lot with backing woods. Enter through a two story foyer to an open floorplan. Spacious living room with Hardwood floors, Recessed lights and Custom moldings. Elegant dining room offers hardwood floors, Recessed lights, Chair rail & Custom moldings. Expanded two story family room with Recessed lights, gas fire place with marble surrounding. Very spacious kitchen offers 42~ Maple cabinetry, Recessed lights, Granite Countertop, tile backslash, Center Island, Stainless steel appliances (newer refrigerator) garbage disposal and exhaust venting outside. Breakfast room with slider glass door to a large Trex deck. There is also a library room with Recessed lights, Cherry hardwood floor and a Bay window. Upgraded powder room and laundry room complete the first floor. Upstairs with 4 bedrooms including expansive Master bedroom with vaulted ceilings, large walk-in closet and a sitting room. Master bath with dual sink, Jacuzzi tub and a large shower. Two of the bedrooms share Jack & Jill bath, 4th bedroom has its own bathroom and a walk-in closet. 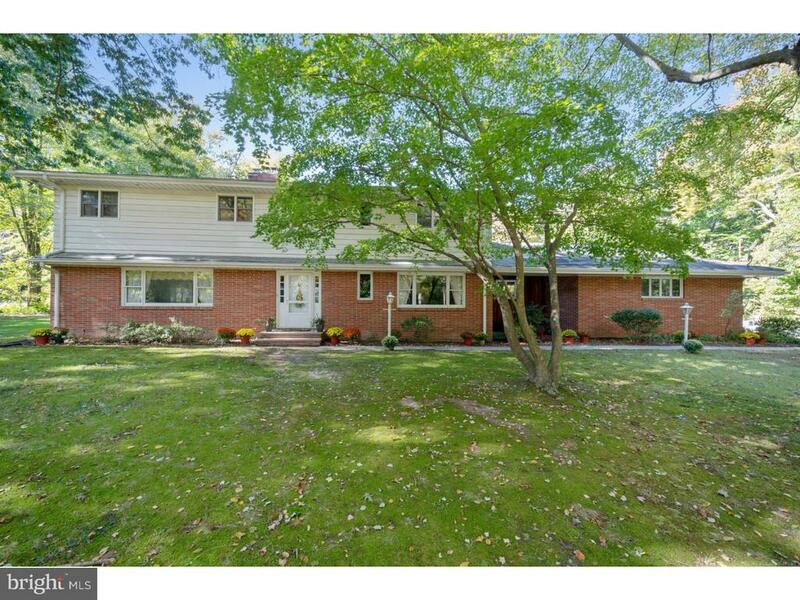 Full finished basement offers tile flooring, media room , gym room and a wet bar. Two HVACs (2018) with warranty up to 2020. Hot water heater (2017). Newer washer & dryer." 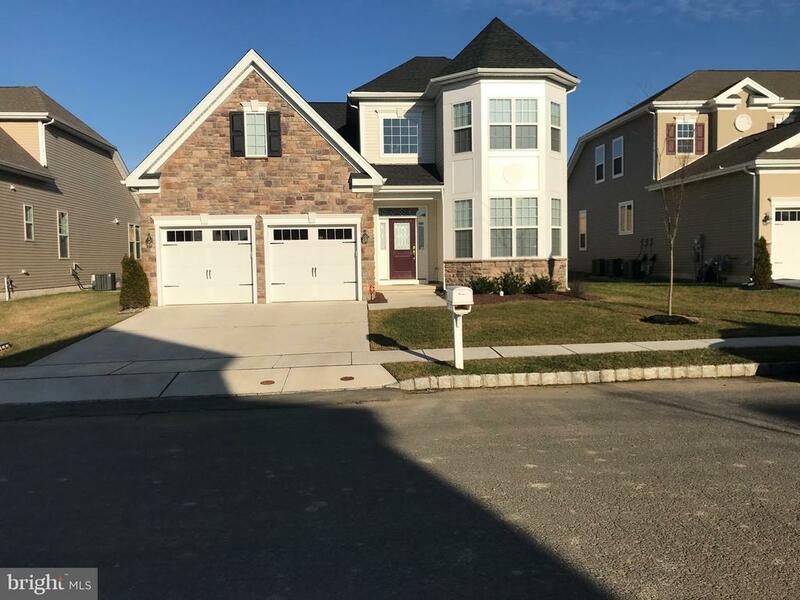 "Welcome to this gorgeous 5 bedroom, 3.5 bath Kingsley model located in the community Canterbury Ridge in South Brunswick. This is a large colonial home on a premium lot & features spacious rooms; a bed room/office and full bath on the first floor; and many tasteful updates. Hardwood flooring in the living room, dining room and 1st floor bedroom; dining & living room with decorative moldings; family room with high ceilings; carpet & a stone wood burning fireplace; Large eat in Island kitchen with new granite counter top w/tile back splash; new stainless steel appliances; ceramic tile flooring; walk in pantry; center island pendant lights; recessed lighting. Master bedroom with sitting room; large walk in closet; a stunning double sided see-through gas fireplace and a full bath with granite double sink; Jacuzzi tub. Finished basement with a half bath; Berber carpet; recessed lighting; 4 surround sound speakers; and a outside bilco door entrance. Resort like backyard with a trex deck; heated pool with concreate liner; brick paver walkway. Added features: 2 zone heating and air; Water softener system; 14 zone lawn sprinkler system; 75 gallon water heater and munch more! Professionally landscaped and conveniently located near schools, shopping, restaurants & major highways!" "Welcome to 326 Culver Rd! 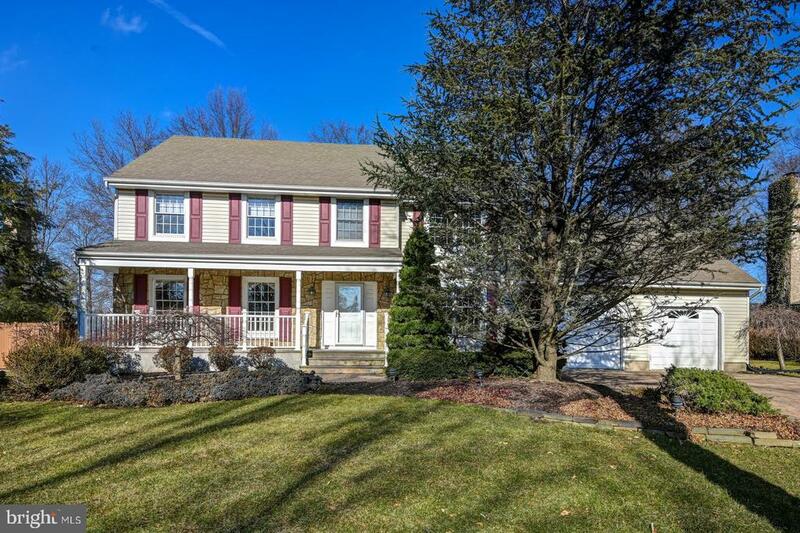 This Magnificent Newly Updated Colonial is set on a Beautiful Lot in Desirable Deerfield Estates. With a Spacious, Open Floor Plan, an Extraordinary amount of Upgrades, Special Touches, and Beautiful Decor Throughout, this Stunning Home is a Wonderful Blend of Sophistication and Comfort - Perfect for Today's Living. Featuring New Gleaming Hardwood Floors; a Dramatic Two Story Grand Entrance Hall; Elegant Formal Living & Dining Rooms; New Gourmet Kitchen with Upgraded Cabinets, Stainless Steel Appliances, Tiled Backsplash, Center Island and Granite Countertops; a Delightful, Sunny, Breakfast Room; Butler's Pantry; a Family Room that flows from the Kitchen and features a Stone Fireplace; Gorgeous Florida Room with Skylights and Sliders to the Deck; Main Floor Guest Bedroom with Remodeled Full Bathroom; a Discreet Private Study; a Convenient Powder Room and Laundry Room complete the First Floor. Upstairs is just as Impressive with a Huge Master Bedroom Suite with Tray Ceiling, Sitting Room and a Luxurious Remodeled Bathroom with Jacuzzi Tub and Stall Shower; Three More Well-Appointed Bedrooms, and a Newly Remodeled Full Hallway Bathroom. The Lower Level features additional Living Space with a Finished Basement with room for Media, Exercise, Recreation and Play. Step Outside and Relax or Entertain on the Trex Deck overlooking the Lovely Gardens with Professional Landscaping, Sweeping Lawns and Mature Trees. Other Features include: A Three Car Side Entry Garage, New Carpet, Recessed and Pendant Lighting, Ceiling Fans, and Sprinkler System. Conveniently located close to the NJ Turnpike 8A exit, Route 1, Route 130, Park and Ride to NYC, Schools, Shopping, and Restaurants. Award Winning South Brunswick Schools. A Truly Exceptional Property!" 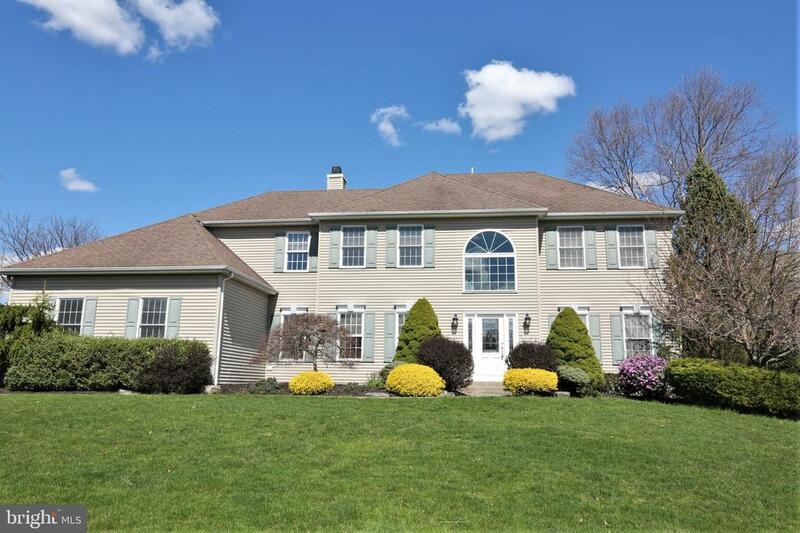 "Large corner lot with an incredible 3299 sq ft NORTH FACING colonial featuring 6 br's & 4.5 baths, full finished daylight basement w/tons of storage space. Beautiful updated kitchen w/center island that flows into great room with gas FP. Also featuring a 1st. floor br., a mud room leading to garage, Formal LR, Formal DR.Rmrks 2:2 master bedrooms on second floor. The Main Master has a spacious closet with 2 additional closets, Steam Shower and a remote gas fireplace. The 2nd Master has a completely updated bathroom with multiple jets in the shower!! Additional 3 bedrooms and laundry room on 2nd level. large yard, great for entertaining guests. Large covered porch with BBQ Grill, Cabana house with granite bar and sink/refrigerator, kidney shaped in ground pool & top of the line 6-7 person hot tub with waterfall. *Motivated sellers - present offers! *Convenient location! *Current kitchen refrigerator excluded, will be swapped w/the SS refrigerator in Cabana." "Exquisite upgraded expanded Foxcroft model on .83 acre! Kitchen boasts subzero fridge, miele dishwasher, granite, and under cabinet lighting. Wood floors and tile are on the first floor. The large addition leading to the huge yard can be an office or playroom. Entertain in the gorgeous fenced backyard and have fun in the hot tub covered by a pergola which is on the composite deck. In addition there is a built in stone bar and firepit! Exterior lighting has been added for a dramatic effect . In the finished basement you will find a pool table and dark room for the photographer, along with plenty of storage space. The bathrooms have all been updated. The spacious family room has wood burning fireplace and leads to the addition via french doors. Additional upgrades include a sprinkler system, alarm, and a paver driveway and walkway surrounded by lush landscaping. If you are looking for a top quality home this is it!" "Sub-division possibilities and North Brunswick Train Station coming soon! 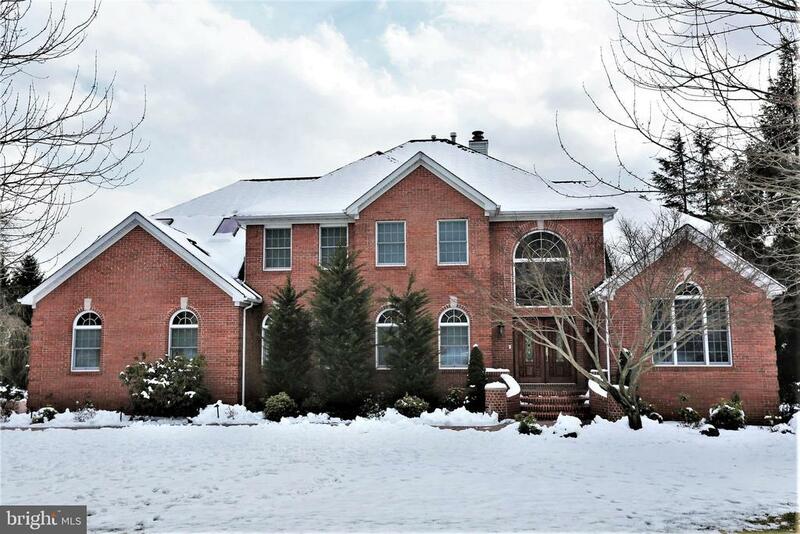 This 5 bedroom, 4.5 bath colonial home with over 3500sf plus 2 car garage attached garage and 3 car detached garage/storage, and full basement is on 2.35 acres and set back from the street on a beautiful wooded lot. A workshop with a double garage plus storage, plus a detached cabana for storage provides flexible and unique usage for someone w/multiple cars or equipment. A grand staircase entrance steps down to a fabulous living room with beautiful hardwood floors, and marble fireplace. Step up to a den/office; a flexible floor plan and expansion possibilities. The large dining room is formal and features wood floors with Brazilian cherry inlay and the spacious granite eat-in kitchen with full size freezer opens to the great room with brick fireplace, convenient for large gatherings and steps out to the platform deck with great views just right for entertaining. A laundry room, full updated bathroom, powder room and 2 car garage complete the first level. The spacious master suite with full bath and 4 additional bedrooms plus 2 more full bathrooms provides room for all!" "Spectacular sunny well maintained 4 bedrooms & 2.5 baths in desired DEANS POND CROSSING community. Beautiful, sunny 2-story Family Room is flanked by multiple windows and wood burning fireplace. Solid hard wood floors throughout the whole house. The kitchen features ceramic tiled back splash, central island, stainless steel stove and refrigerator. Eat in kitchen space with sliding door to back yard. Spacious master suite with walk in closet, tub and shower. Private fenced large yard with paved patio. In ground sprinkler system, & professional landscaping. Convenient to shopping, school, NYC bus." "Come and see what everyone is talking about! Our sought after community is 95% Sold Out! Located minutes from downtown Princeton. Take advantage of the golf courses, parks, museums, and theaters that the Middlesex County has to offer. Close proximity and minutes to Princeton Junction rail station. More space, more luxury, more of what you want in a community! This Danello Model is nestled in our beautiful community on Bernini Way. Take a stroll on the tree lined streets and enjoy the state of the art clubhouse which features an out door pool, putting greens, billiards and Tennis courts. Designer options galore in this home . 5 hardwoods throughout greet you on the main level, Gourmet kitchen, upgraded granite throughout! Open floor plan is ideal for everyday living and entertaining family and friends. Come experience this beautiful Lennar Wifi Certified home. Includes ring doorbell, Baldwin locks, Honeywell thermostats and so much more!" "Everything you could need under one roof! 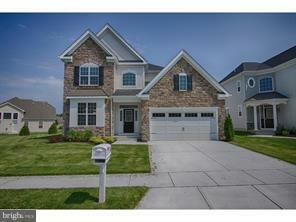 Gorgeous new home with 2,793 square feet - three bedrooms, three baths and two car garage. 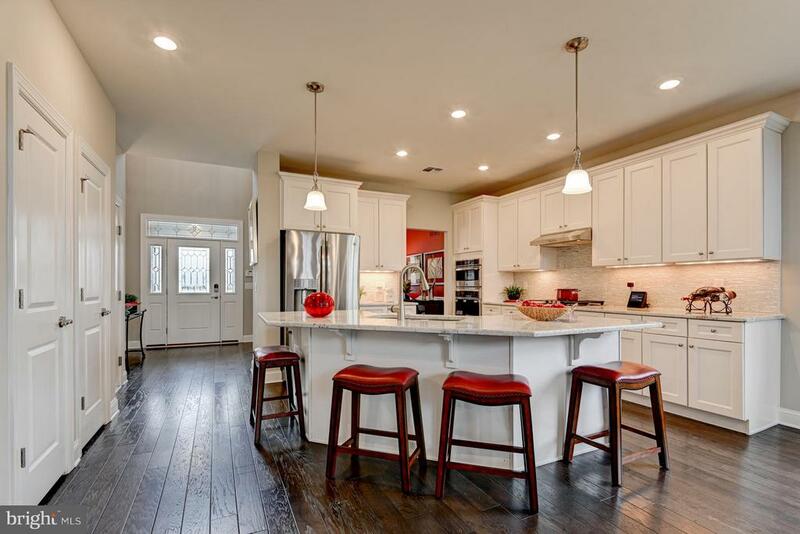 The kitchen is a chefs dream - granite countertops and tons of cabinet space with a large island. The spacious great room has a warm inviting fireplace. The master suite and second bedroom are on the first floor while a third bedroom, loft and bathroom are there for additional guests or family. A true dream home awaits you at sought after 55+ Community - Princeton Parke!" "What is better than a new home to start the New Year! Join our tight-knit community with friendly outgoing people. Take a leisurely stroll along the beautifully landscaped grounds and existing residents will welcome you warmly to our distinguished neighborhood!This Capri model home is nestled in our desirable Community on beautiful Bernini Way. Designer options galore in this home - 5 hardwoods throughout greet you on the main level . Enjoy the Thanksgiving dinner worthy island in the spectacular gourmet kitchen. Gather and enjoy all the area has to offer with a beautiful in-suite second floor loft . Come experience this beautiful Lennar Wifi Certified home. Includes ring doorbell, Baldwin locks, Honeywell thermostats and so much more! Call today to come tour our designer decorated Models! ONLY 11 Homes Remaining!!!" 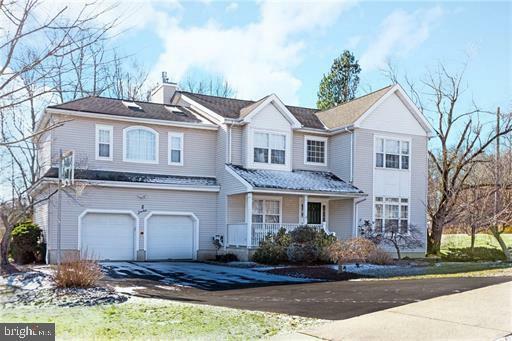 "Fantastic opportunity to own one of the original Bianco models in the much sought after Princeton Parke community! This spacious and elegant home boasts over 2600 sq. ft with 3 bedrooms, 2.5 bathrooms, an open floor plan, gorgeous hardwood floors and a chef~s dream kitchen! A stunning wall of windows brightens up the Great Room, Kitchen, and Dining Room area and makes for a wonderful place to entertain guests. Get cozy around the fireplace as you enjoy the outside view! Upstairs is a huge loft in addition to 2 other bedrooms which could serve as a private space to host family or friends. Too many high end upgrades to count!Beautiful calm 55+ community with a grand clubhouse, pool and fitness center!" "What a better way to start off the New Year with a Beautiful new construction home by Lennar! The Venue at Princeton Parke is located in desirable Monmouth Junction- over 95% Sold out. Minutes away from downtown Princeton, shopping, entertainment and accessible to all major highways. More space, more luxury, more of what you want in a community! This Seville 2 Model is nestled in our active adult Community on beautiful Bernini Way. Take a stroll on the tree lined streets and enjoy the state of the art clubhouse, just a brisk walk away or stop for a little Bocci with friends . Designer options galore in this home - 5 hardwoods throughout greet you on the main level . Gather and enjoy all the area has to offer with a beautiful in-suite second floor loft . Spectacular open floor plan that is ideal for everyday living and entertaining. Come experience this Lennar Wifi Certified home. Includes ring doorbell, Baldwin locks, Honeywell thermostats and so much more! Call today to schedule a tour and visit our New Home Counselor's that will guide you through the Homebuying process!" "The Venue at Princeton Parke is located in desirable Monmouth Junction- Over 95% Sold Out! 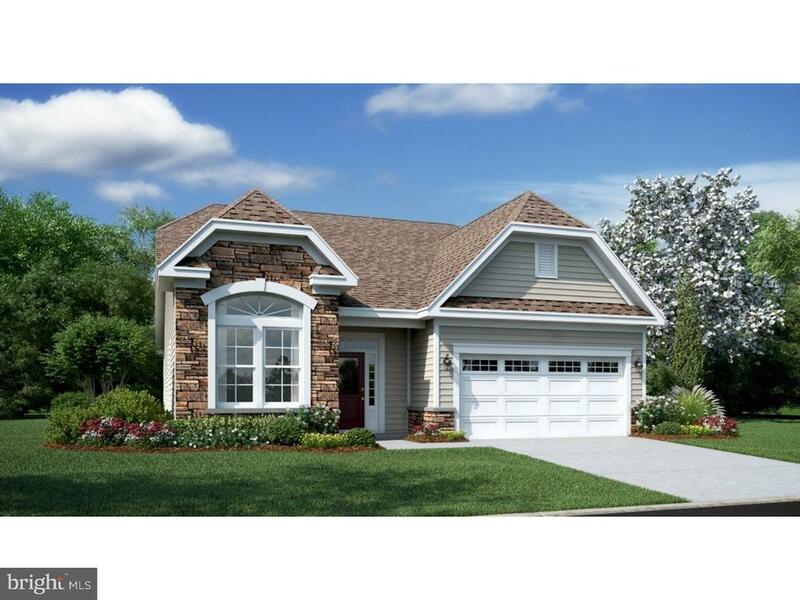 This Seville 2 Model is nestled in our active adult Community on beautiful Bernini Way. Private wooded location! Upon entering this beautiful open floorplan -hardwood floors greet you throughout the whole main level. Everything you need for easy living with a Spacious Mater bedroom, secondary bedroom, Bathrooms and laundry located room on the main level! You'll find your redistribution of space is well suited for downsizing with more than ample storage. The second level offers an open loft perfect for company to enjoy with their own private space with an additional bedroom and bathroom. The kitchen and family room are the WOW factor that features an oversized granite island that lends itself to wonderful gatherings with friends-indoors and out. The private wooded lot and views are ideal for entertaining with family and friends. Take a stroll on the tree lined streets and enjoy the year-round activity at Club Verona, the social hub of the community featuring a gathering place with a Continental flair. Lennar has partnered with the WiFi alliance to deliver the first WiFi certified home design. Now you can stay connected to the things that matter most and enjoy a home that adapts to your way of life!" "This beautiful home features a partial brick-front exterior and high-quality Andersen Windows throughout! Crown molding in the foyer and dining room, as well as double door entry into the formal living room provide an upscale feel. A handsome gas fireplace with stone surround creates an attractive feature wall in the family room. The eat-in kitchen is stylishly updated with sleek granite counters, SS appliances, and ceramic tile floor! The double pantry makes it easy to stay organized. Upstairs you will find 4 bedrooms, all with ceiling fans with lights, windows, and ample closet space. The good size master bedroom provides dual walk-in closets, along with an en-suite bath. Located off of the hallway you will find dual linen closets, and a main bathroom with dual sinks and a tub/shower combination. Enjoy outdoor grilling, entertaining and relaxing in the fenced-in back yard complete with a patio.Sellers offering HWA home warranty to Buyer at closing." 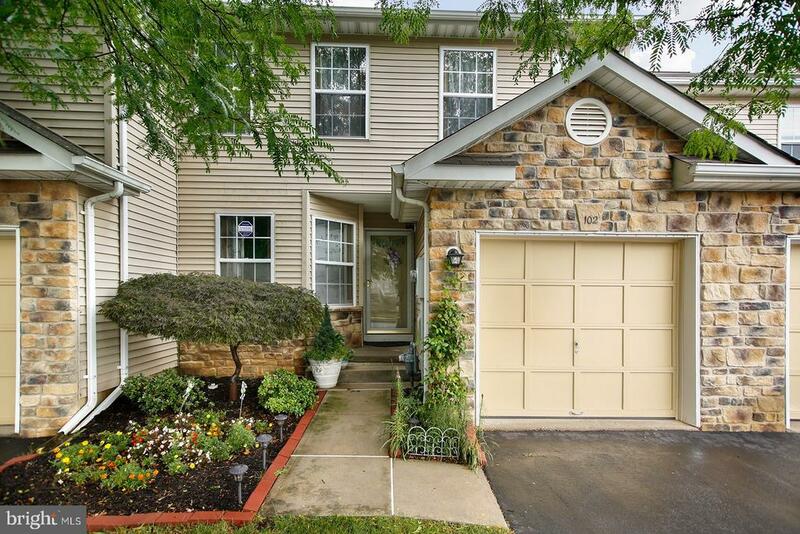 "Well maintained 4 bedroom townhouse located sought after neighborhood of Hickory Ridge. Granite countertop in the kitchen. Bamboo flooring in the first floor.Close to shopping, train station." 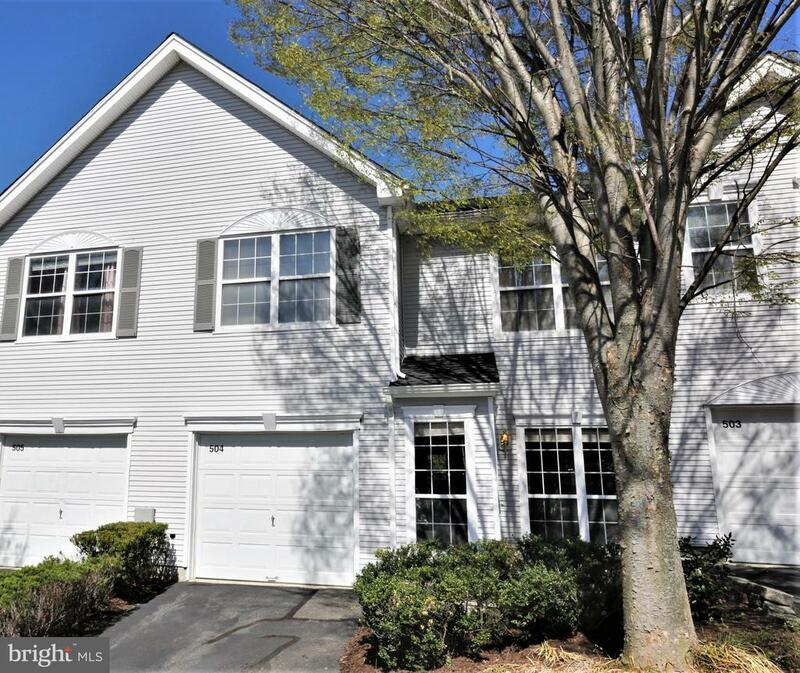 "Beautiful 3 bedroom, 2.5 bath townhouse located in the highly sought after community Hickory Ridge in South Brunswick. This home has been tastefully updated and well maintained. All baths completely remodeled top to bottom. The first floor has hardwood flooring throughout. Lovely 2 story family room with gas fireplace with marble surround and recessed lighting. Updated eat in kitchen with new granite countertops with a custom designed marble backsplash; 1 year old refrigerator; newer sink with water filter & soap dispenser. A large closet is located under the stairs with built in shelving. Master bedroom with 2 walk in closets and a remodeled full bath featuring a double sink with granite tops; new toilet; 2 more well appointed bedrooms on the upper level and a remodeled hall bath; Carpet throughout 2nd floor; security system & fire alarm; heating and air only 1 year old; newer water heater; 1 car garage with garage door opened; Fenced back yard; professional landscaping; and more!" "Unique home was built as a school house, is currently used as an art studio, but has the potential for other home office uses. 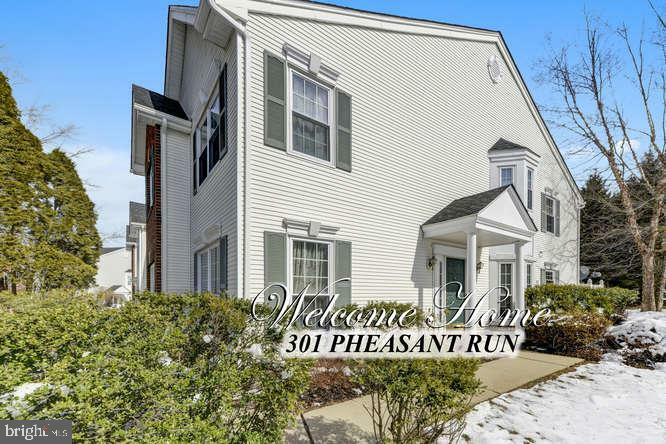 Whether you work here or live here, the home is located not far from the conveniences of Plainsboro or Rt 1, and near a new development of high end homes! Hardwood floors run throughout, lending to the charm of the home. The kitchen has been updated with granite counter tops, maple cabinets and stainless appliances. The first floor also has a mud room with slop sink and the full bath has a cast iron tub. Upstairs are all four bedrooms and redone main bath with pedestal sink and updated subway tile. There is a door leading to a full attic with flooring for storage and fixed stairs. A parking lot for 10+ cars provides plenty of parking whether entertaining gueses, or accommodating office visitors. All on one acre!" "Welcome to 42 Kingsland Circle! This Fabulous, Contemporary, Three Bedroom, Two and a Half Bathroom Oxford Model with Bonus Study/Sunroom is situated in Desirable Princeton Gate. With a Wonderful Open Floor Plan, Vaulted Ceilings, and an Abundance of Windows this home is Filled with Light. Featuring: Gleaming Hardwood Floors Throughout; Huge Living Room with Woodburning Fireplace and Two-Story Ceiling; Elegant Formal Dining Room; Kitchen with Five Burner Stove, Built-In Microwave, and Stainless Steel Dishwasher; a Delightful Breakfast Area with French Doors that lead to the Lovely Sunroom/Study with Ceramic Tile Flooring; and a Convenient Powder Room complete the Main Floor. Up One Level is the Private Master Bedroom Suite with Walk-In Closet and Master Bath with Jacuzzi Tub, Stall Shower and Double Sinks; Two more Sunny, Well-Appointed Bedrooms are on the Third Level (One with Vaulted Ceiling); along with a Full Hallway Bath. Other Features include: A Full Basement with Laundry Facilities, Newer Roof, a Two Car Attached Garage, Central Vacuum, and Security System. 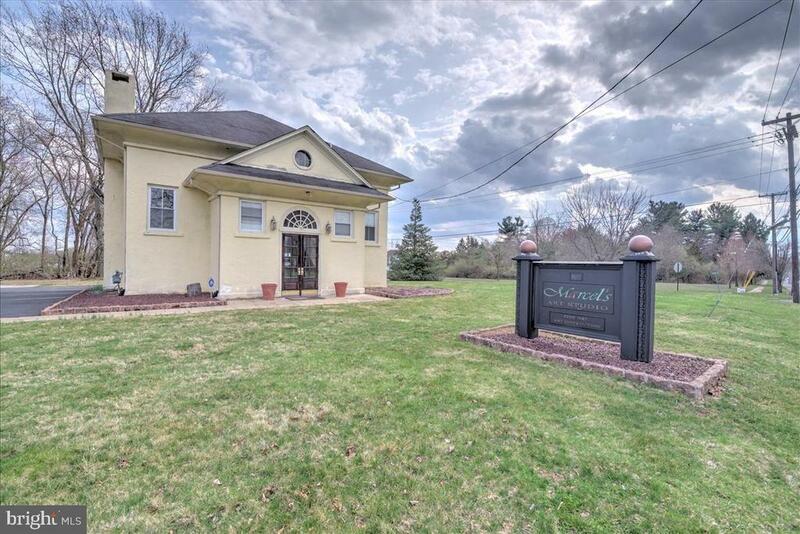 Great Location minutes to Major Highways, Train Stations, Schools, Shopping, Restaurants, and Downtown Princeton. Award Winning South Brunswick School District." "Everything you want in a townhome including a premium lot that backs to wide open space. This 3 bed/2.5 bath home in desirable Ridgeview features hardwood flooring through main level, a light filled eat-in kitchen with ceramic tile floors, granite counter tops, tiled backsplash and SS appliances, a wood burning fireplace and bonus room on main floor. The second floor features a large master with vaulted ceilings, walk in closet and bath with soaker tub and dual sinks. Two more bedrooms, full bath and laundry complete the second floor. Home also features a full basement, one car garage and paver patio to enjoy the green space. Close to major highways, train station, and shopping. Nothing to do but unpack your bags!" 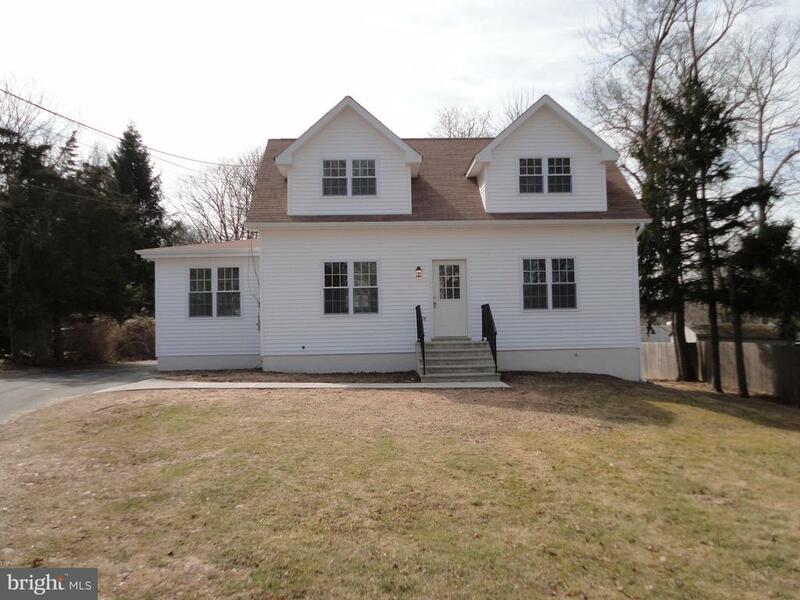 "On March 17 start showing this totally redone home and the luck could be yours! 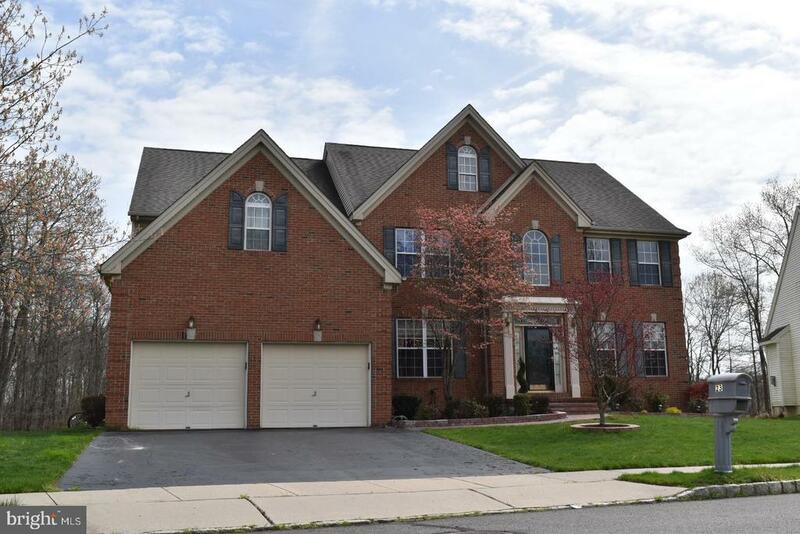 Beautiful 4 br, 2 ba home with huge combination dining/sunroom addition and two master sized dormer bedrooms on the second floor. Wood floors throughout with tile in the bathrooms. Stainless appliances, granite counter tops, center island in kitchen, new windows, new back porch and Bilco doors in the basement provide exterior access. Two car detached garage/pole barn all on 2 acres in the heart of Kendall Park! You don't want to miss this one!" "Spectacular and bright! 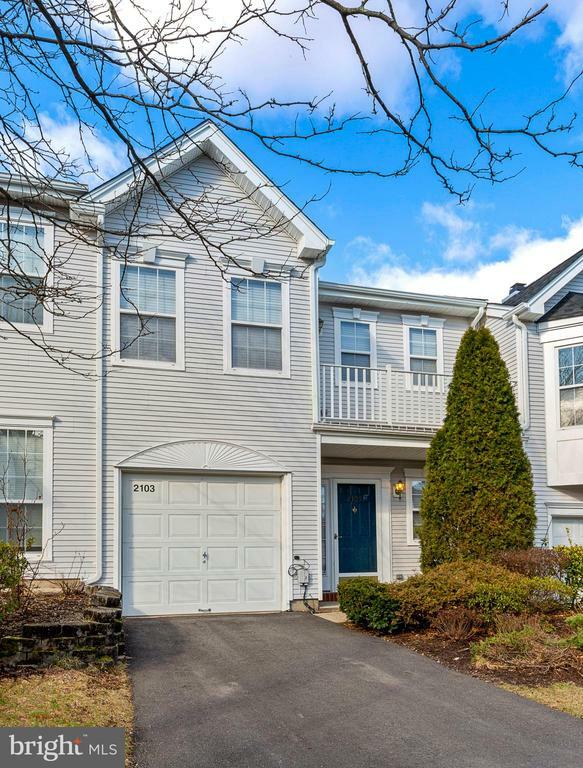 This 2 bed, 2.1 bath, 1 car garage townhome offers complete privacy & tranquility. As well as a bright and inviting environment. Some of it's many special features consists of; updated kitchen with granite, black SS appliances, tile floor, extra counter space & an opening to the family room; which features large picture windows at the back of the house to let in lots of natural light and a second floor laundry room. As well as a large walk in closet, huge master bath and Juliette balcony. Add to that the top rated schools of Monmouth Junction, the ease of commuting and the bountiful shopping and you have the perfect home!"